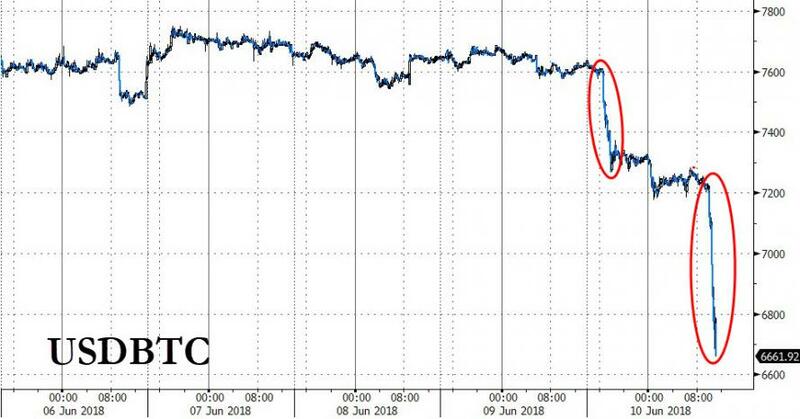 As we detailed earlier, the drop comes after South Korean cryptocurrency exchange Coinrail said there was a "cyber intrusion" in its system. While the fact of a 'hack' is notable, we do caution any panic as Coinrail is only the 98th largest crypto-exchange, with a 24-hour volume average of about $2.65 million, according to data from Coinmarketcap.com. 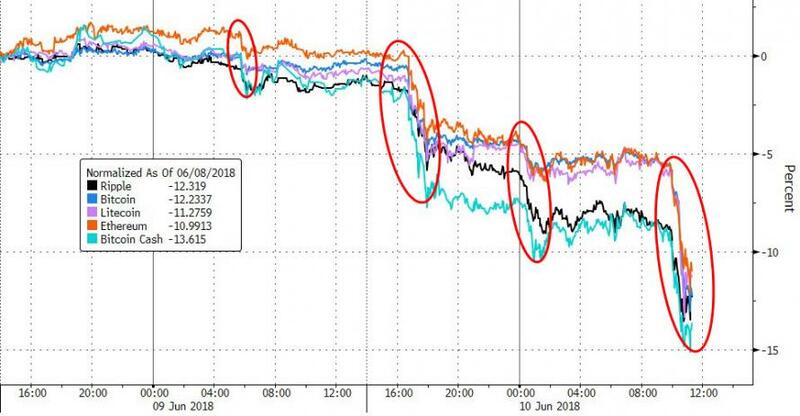 The crypto market is also under pressure, in the wake of the news that the US Commodity Futures Trading Commission (CFTC) has launched a probe into four major crypto exchanges. 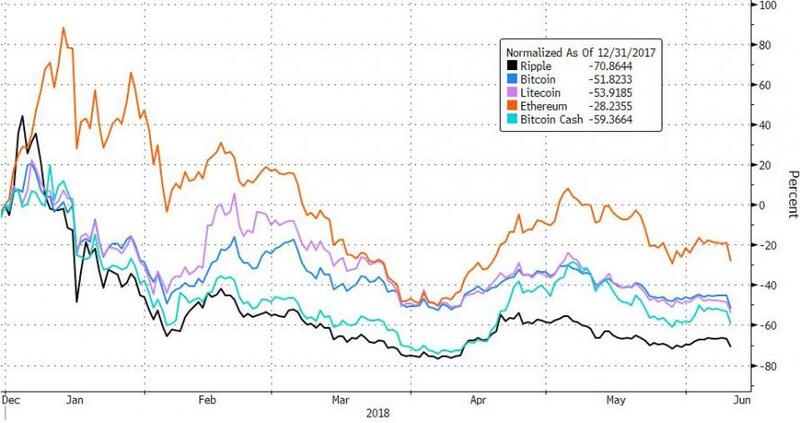 All of the top-100 cryptocurrencies by market capitalization are in the red over the 24 hours to press time, while total market capitalization is down by over $30 bln over the same period, according to Coinmarketcap.